I came here with a six-month contract to work at the observatory, fell in love with the place, and stayed. It’s been twenty years so far, and I still feel smug every time I see a plane leaving. Because I get to stay. So when I got made redundant from my job at the observatory, I retrained as a tour guide, specialising in astronomy. 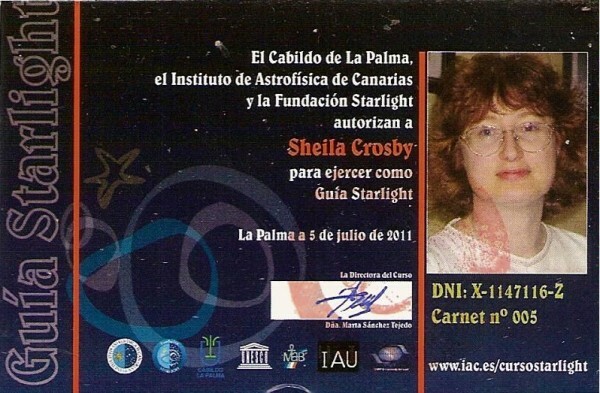 As far as I know, La Palma and Tenerife are the only places in the world with Starlight Guides, because we have such amazing night skies. But I also enjoy showing people the other glories of our miniature continent. 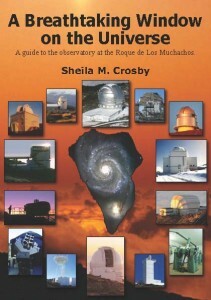 There’s a non-fiction guide to the astronomical observatory at the Roque de Los Muchachos (A Breathtaking Window on the Universe ), an anthology of children’s stories inspired by La Palma’s starry skies (The Seer’s Stone), and a science fiction anthology (The Dodo Dragon and Other Stories). I’m currently working on a whodunnit set in the observatory.